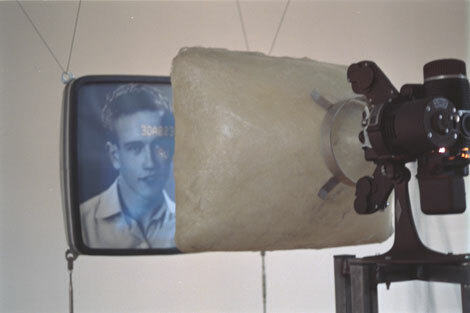 Throughout the decades, changing visual media have helped shape our memories, and the medium often becomes the message. 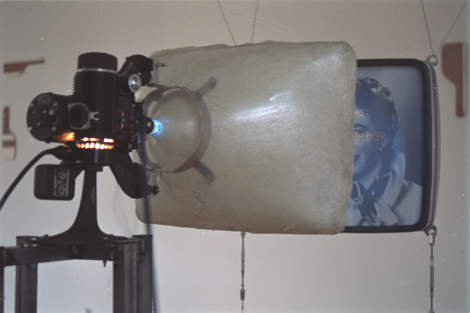 Bell and Howard 16mm projector, 1939; photo on backlit film, 1958; fiberglass body modeled after Magnavox TV picture tube, 1977; video messages by JVC, 1985. At the Museum of Applied Arts, Vienna, Austria.